Living the life of a farmer in Stardew Valley must be incredibly difficult. 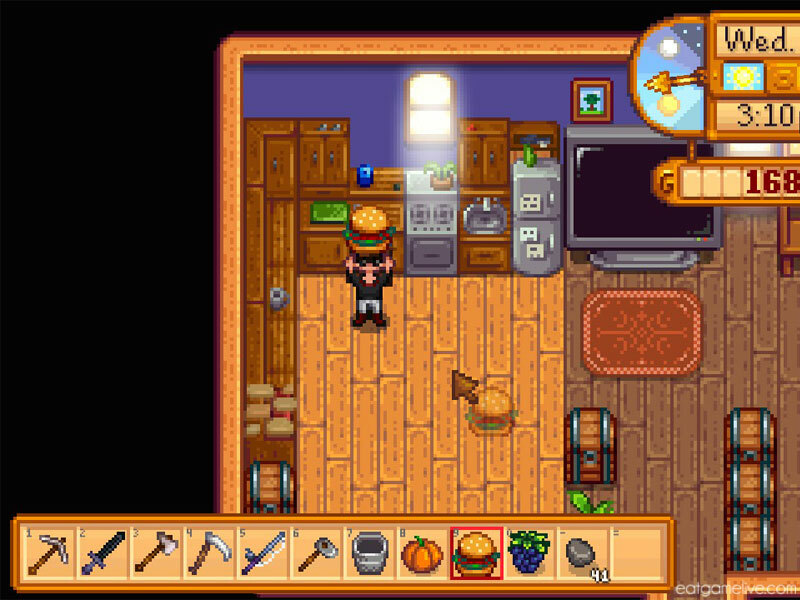 You started out working a 9 to 5 job at Joja Corp and suddenly, you ditch everything to start a brand new life in this quaint little town. I personally struggled my first few days of being a fresh new farmer. I spent a lot of days chopping down trees in my yard and wandering aimlessly through the valley. I would pick up random things and eat them or throw them into my hastily made wooden chest. Eventually, I picked up enough random things to reach Forager level 2. 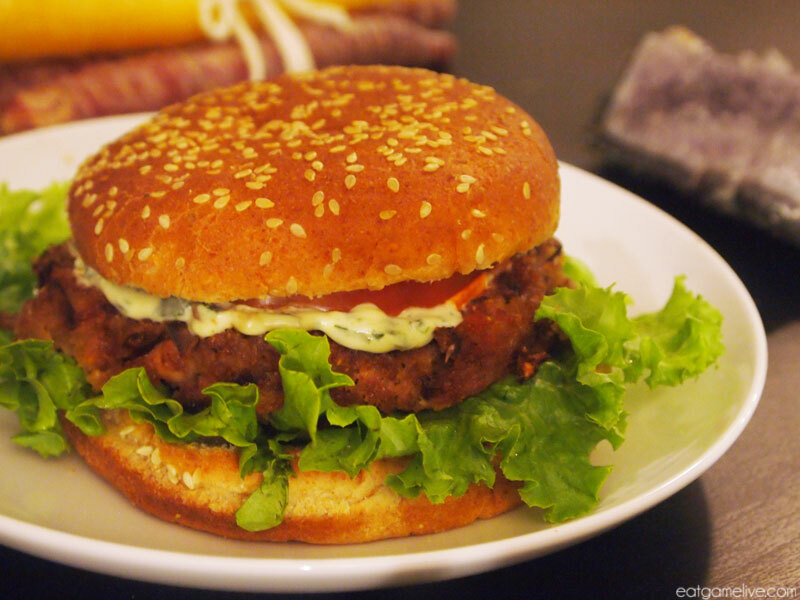 At the time, I had no idea what the heck that meant, I just knew that I magically learned how to make a burger because of it. Hype! 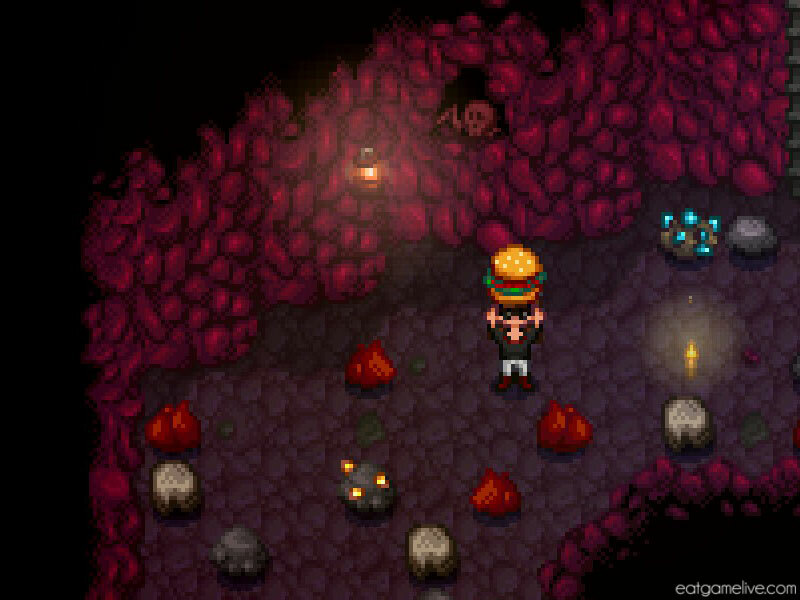 Once I got my farm going, I started making Survival Burgers all the time. It eventually replaced my old staple food of Fried Eggs. Hey skeleton bro, do you want a bite or nah? Since the Survival Burger has become such a necessary part of my adventuring routine, I had to recreate it in real life. 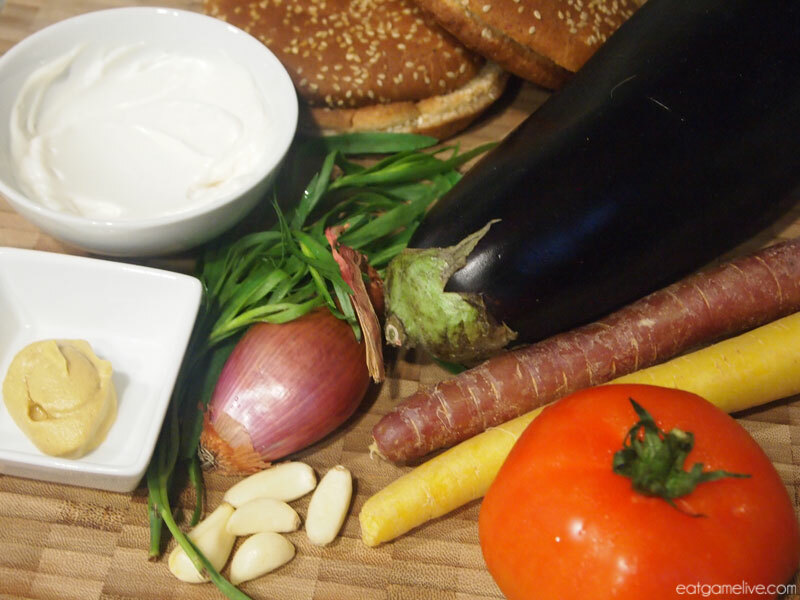 The actual ingredients to the recipe are incredibly simple: “bread”, “cave carrot” and “eggplant”. Easy! …sort of. I didn’t know what the heck a cave carrot was, so I got the next best thing: Rainbow Carrots! This recipe takes about 20 minutes to prep. Cook time is about 35 minutes. This makes 4 servings. In a food processor, combine your garlic, shallots and 2 chopped carrots. Add in your chopped egg plant and process. Season with salt and pepper. Remove your mixture from the food processor. The mixture will be fairly watery due to the water content of the carrots and eggplant. Line a baking dish with parchment paper. Divide your mixture into 4 sections. 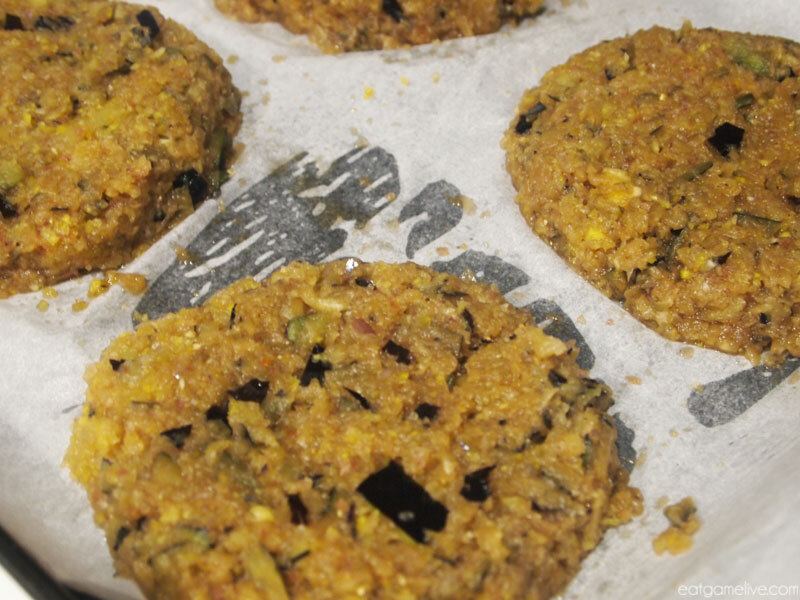 Form each section into a patty and place it on the baking dish. You may want to smooth out the patties with a butter knife. Preheat your oven to 375°. 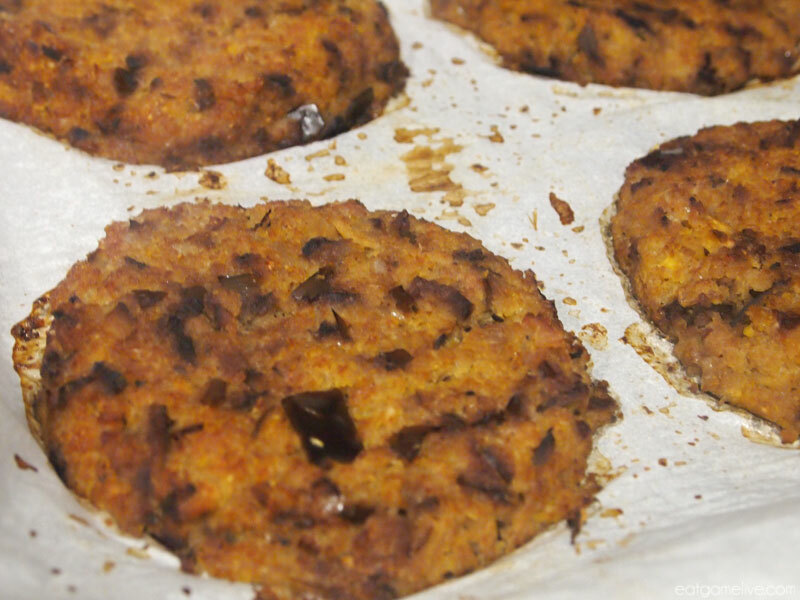 Bake the patties for about 35 minutes or until golden brown. 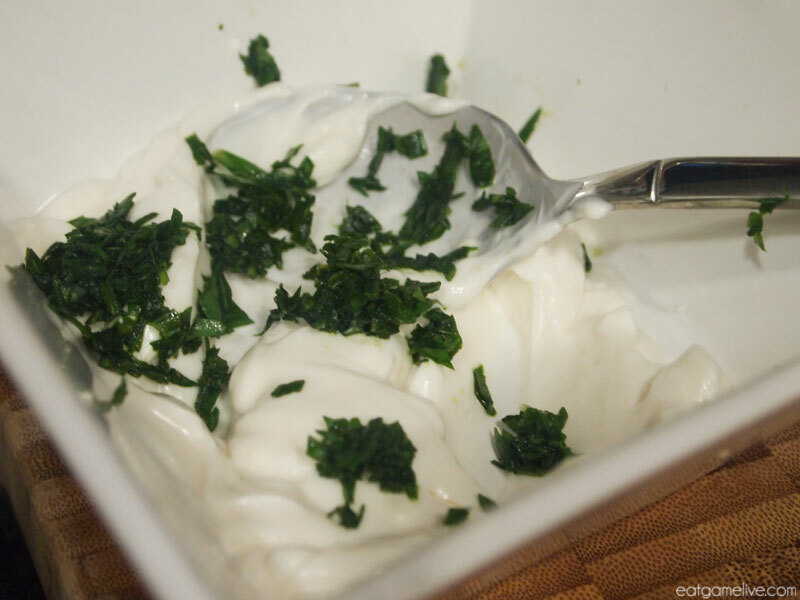 While the patties are baking, create your tarragon mayonnaise. Remove the stems from the tarragon and roughly chop the leaves. In a bowl, combine your dijon mustard with your mayonnaise. Stir in your tarragon and season with a little salt. Assemble your burger! 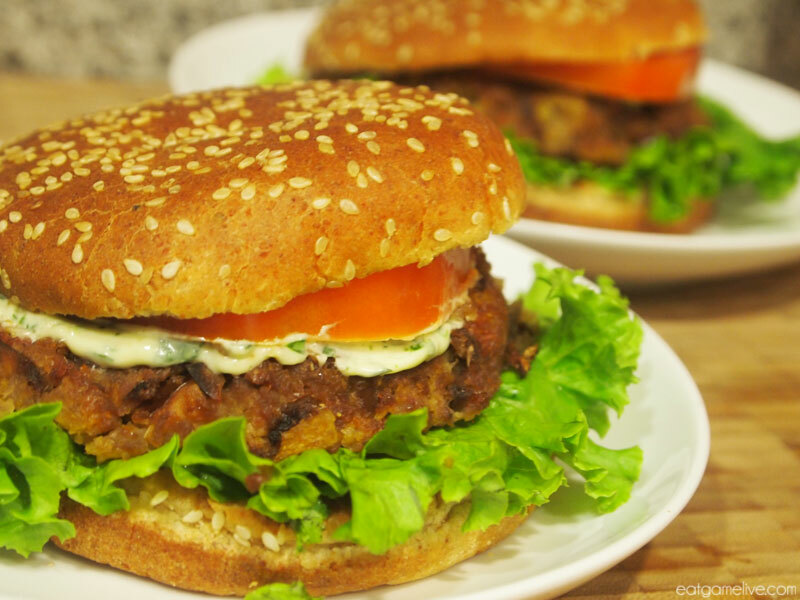 Place one lettuce leaf on the bottom portion of the hamburger bun. 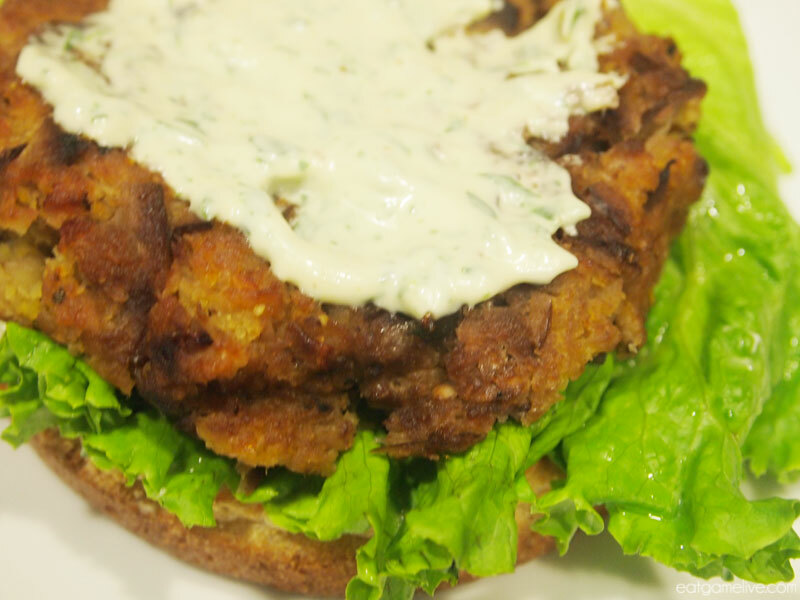 Place your veggie patty on top of the lettuce leaf. 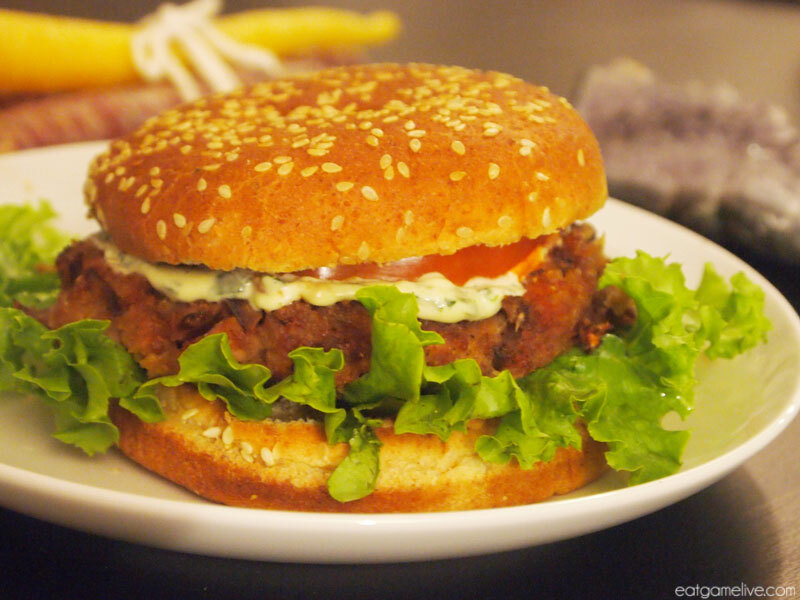 Place a generous amount of tarragon mayonnaise on top of the patty. Top that with a tomato slice and then the top of the bun. Hooray, and now you’re done! GG WP, Farmer. 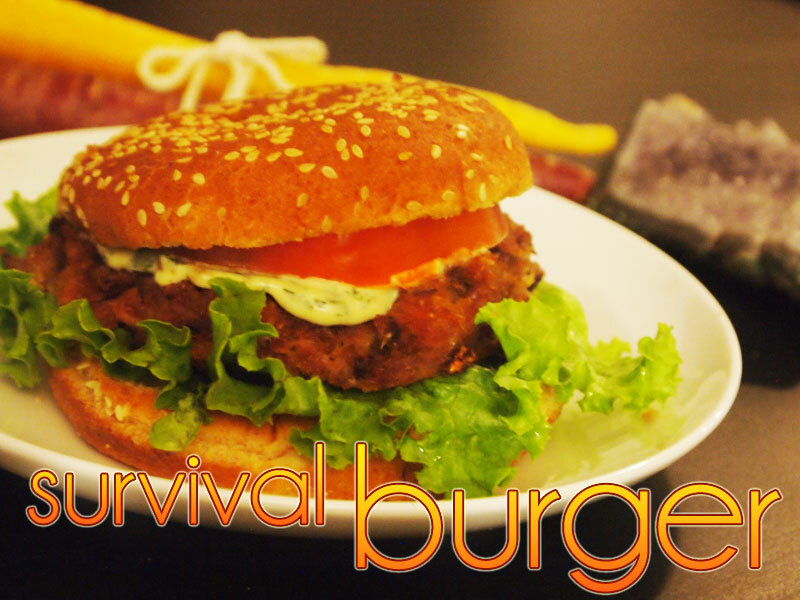 Now you have a tasty and nutritious meal that will keep you energized to forage all day long! I’m sure its no surprise to anyone that I’m still freakishly obsessed with Stardew Valley. It’s such a peaceful relaxing game and it definitely helps cleanse the salt left by other games. However, that doesn’t mean Stardew Valley has been without frustrating for me! When I first started, I could NOT for the life of me understand fishing… It was such a simple concept, but for whatever reason, my brain just went into full derp mode whenever I started fishing. Eventually, after much struggling and rambling at my computer screen, it finally clicked in my head. 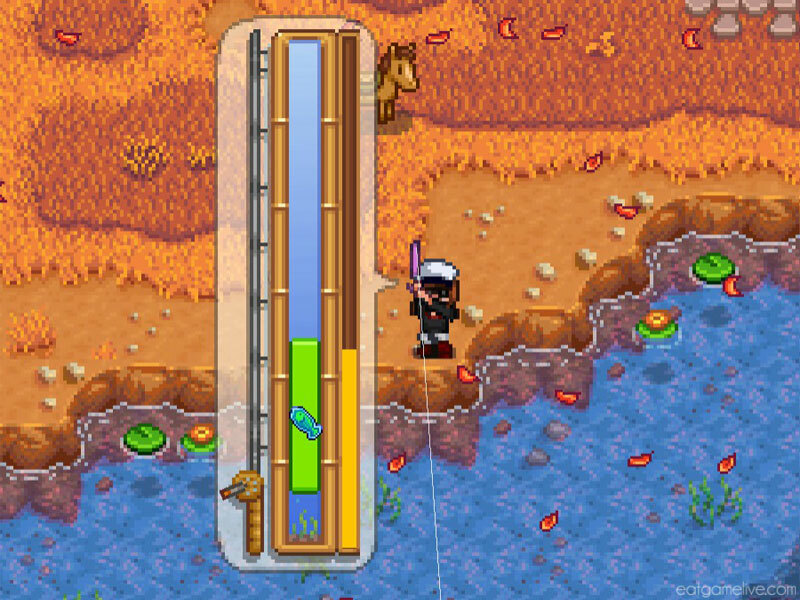 That’s when I decided to become the fisher-woman of Pelican Town! Willy’s gonna be so proud! 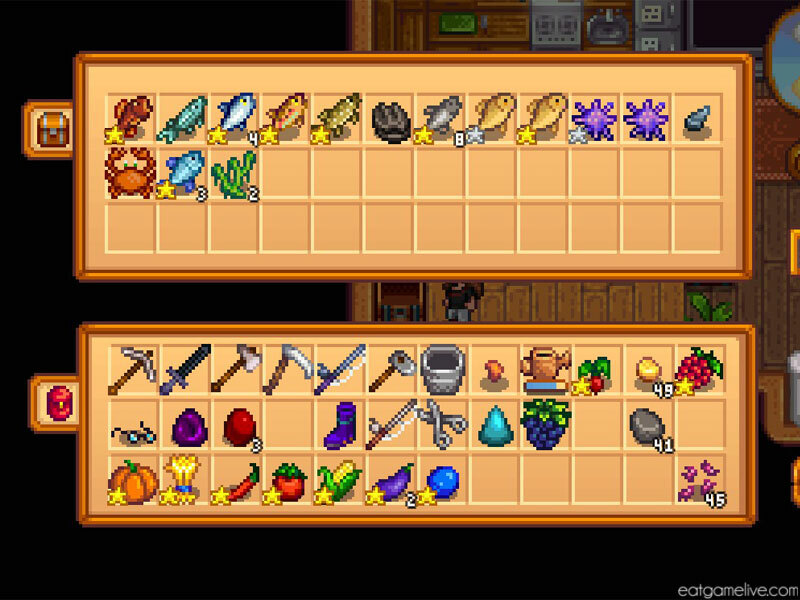 Much to the dismay of my poor farm husband Sebastian, I began storing all of my catch in a storage chest in the kitchen because the fridge was full of important things such as wheat and quartz. 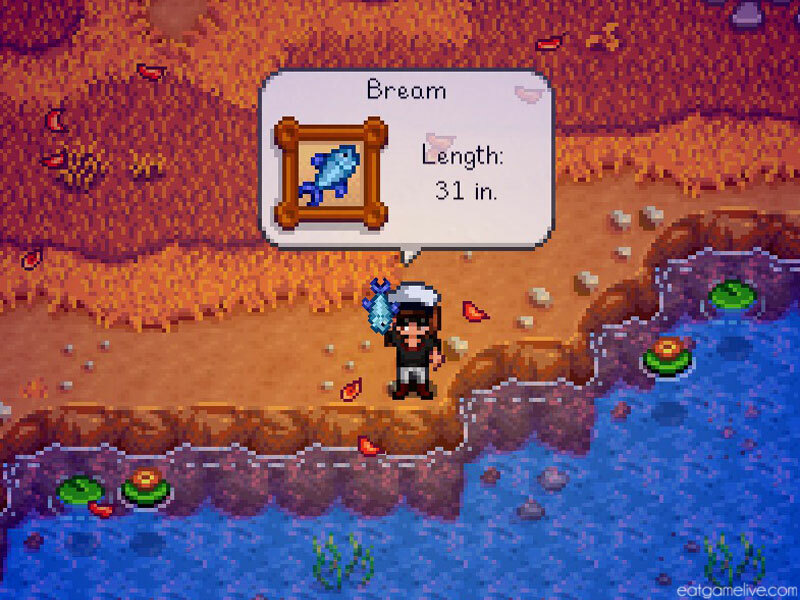 This is also because I’m scared to accidentally turn any of my future legendary fish catches into sashimi again… RIP ANGLER, MARCH 8th 2016 – MARCH 8th 2016. Since I’ve become the self-proclaimed fisher-woman of Pelican Town, I decided I just had to make another fish dish. Dish o’ The Sea was a good start, but it was time to up my fish cooking skills by roasting a whole fish. I’m a terrible fisher in real life, so I headed to my local fish monger. I’m not in an area of the US where Sunfish is a common, and fresh water Bream is difficult to get since it’s a fish native to Europe. 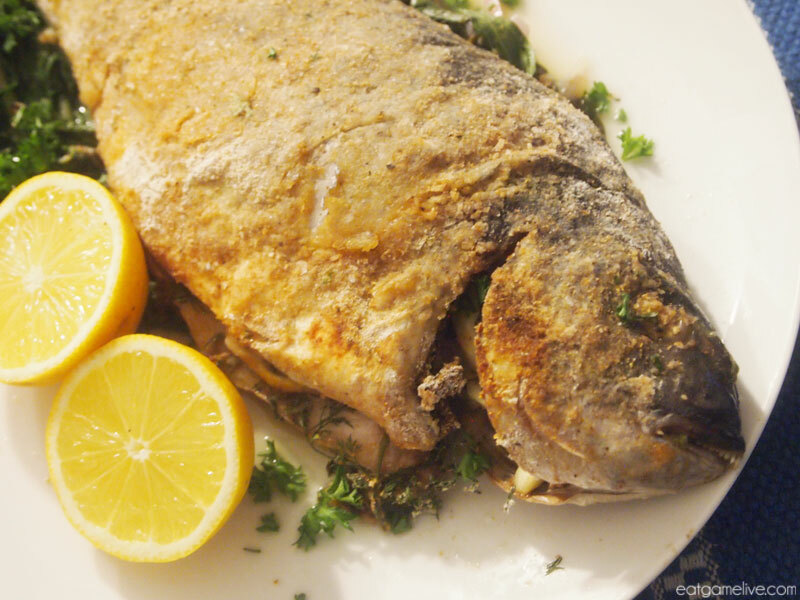 However, I substituted it with its cousin-by-name, the Sea Bream! Total prep time for this dish is about 20 minutes. Cook time is ~35 minutes. This makes about 2 servings. Roughly chop your garlic and shallots. 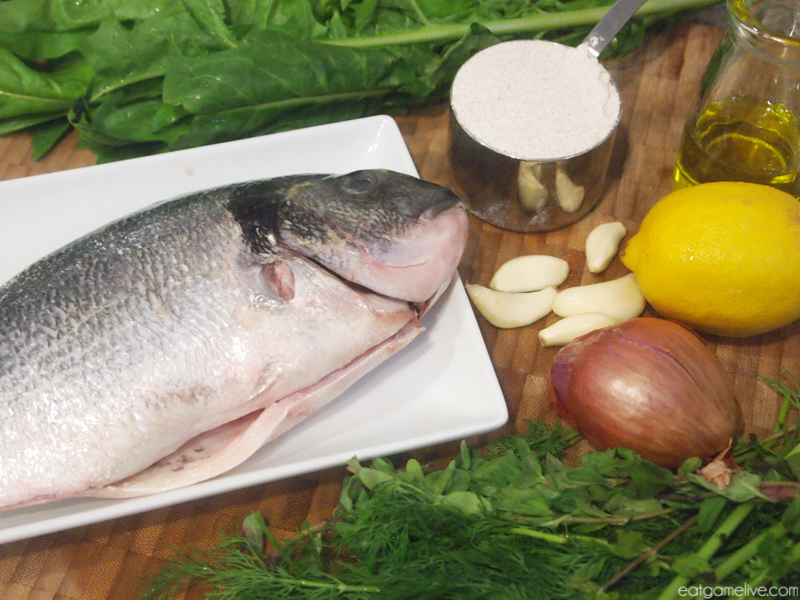 Season your bream with salt and pepper. Make sure to rub the seasoning inside the empty cavity. Stuff the bream with 1/2 of your dill, parsley and majoram. Add in your garlic and your shallots. Add in 2 lemon slices. 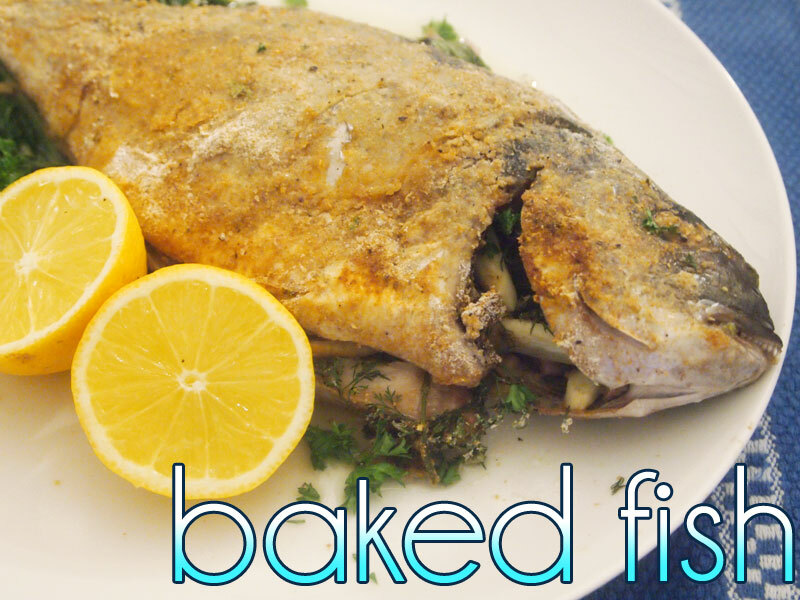 Coat your bream with a light dusting of flour. 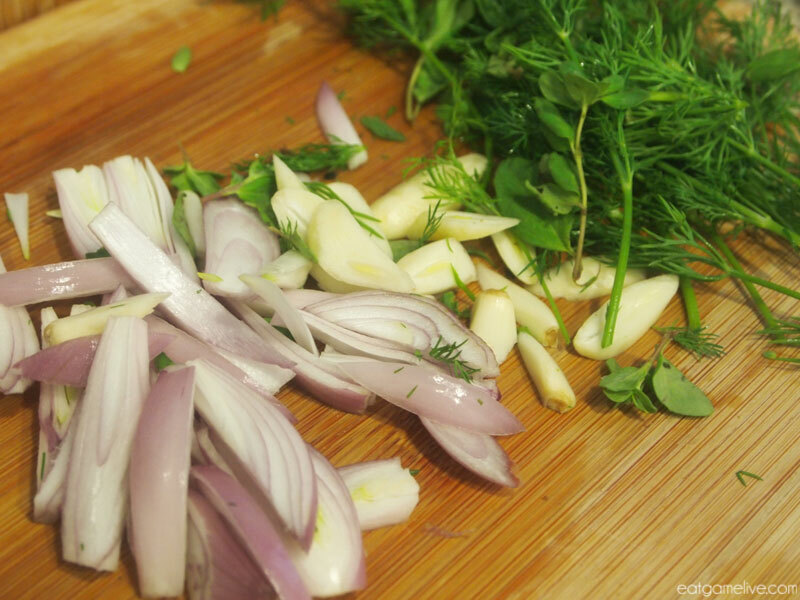 Place your remaining herbs on in a large baking dish. 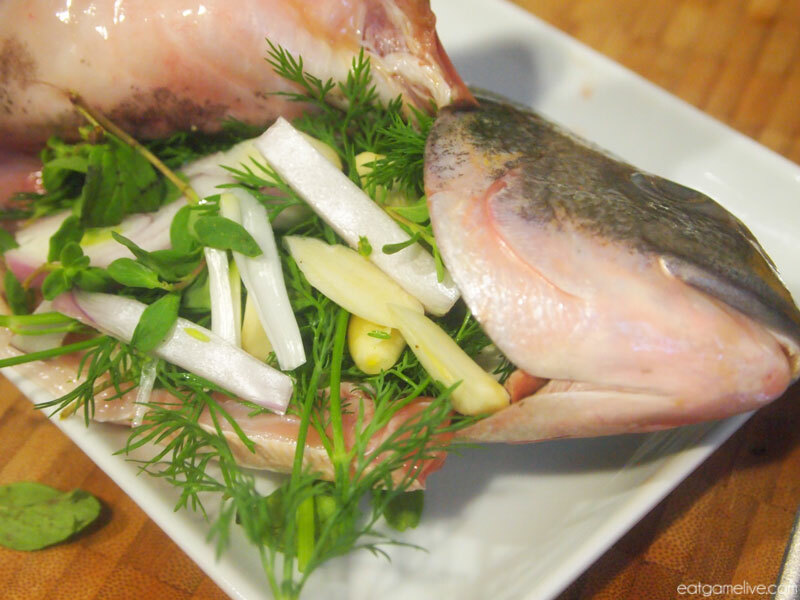 Place your bream on top of the herbs. Carefully drizzle the olive oil over the bream. OPTIONAL: Add two lemons on top of the bream. 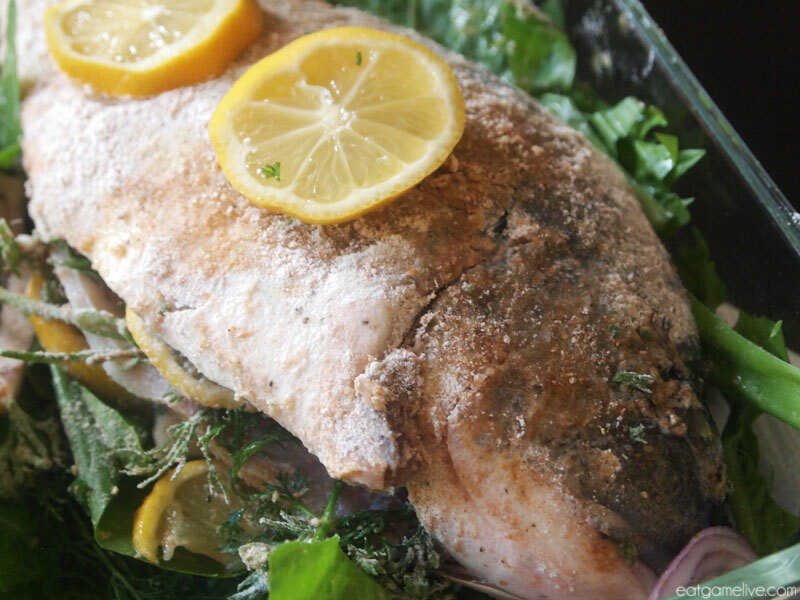 Preheat your oven to 375° F. Bake the fish for about 30 minutes. Remove the lemons and broil for 5 minutes at broil at 500° F. This is to make the breading extra crispy! While the bream is baking, steam or lightly boil your dandelion greens. Season with salt, pepper and lemon. Plate the dandelion greens first. 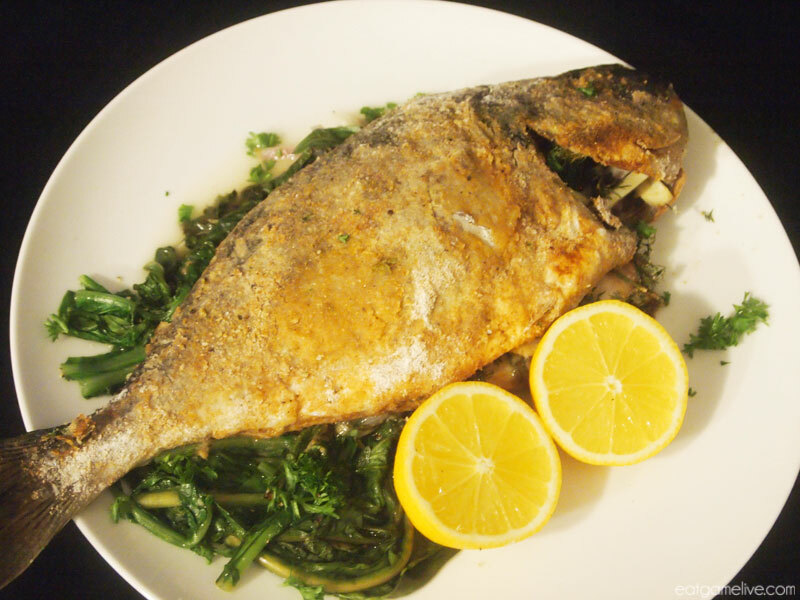 Then place your freshly baked bream on top of the greens. OPTIONAL: Add two lemon halves to replicate the in-game design. Now you have this delightful fish that you can share! Or you can just keep it to yourself… I mean, you need the energy right? The farm isn’t gonna take care of itself!